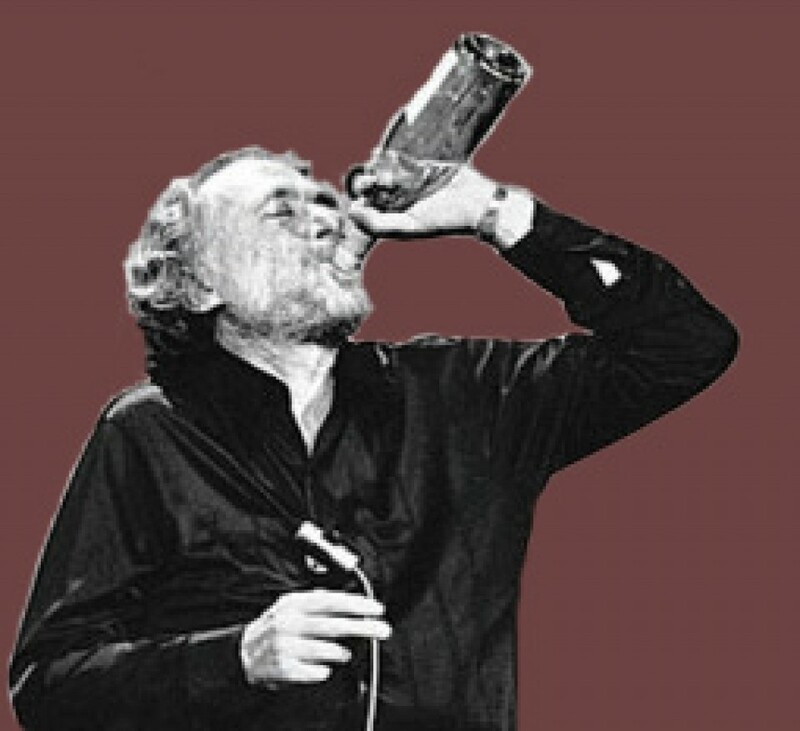 Beaujolais – Would Bukowski Drink It? OK well that doesn’t tell me anything about the wine actually…. 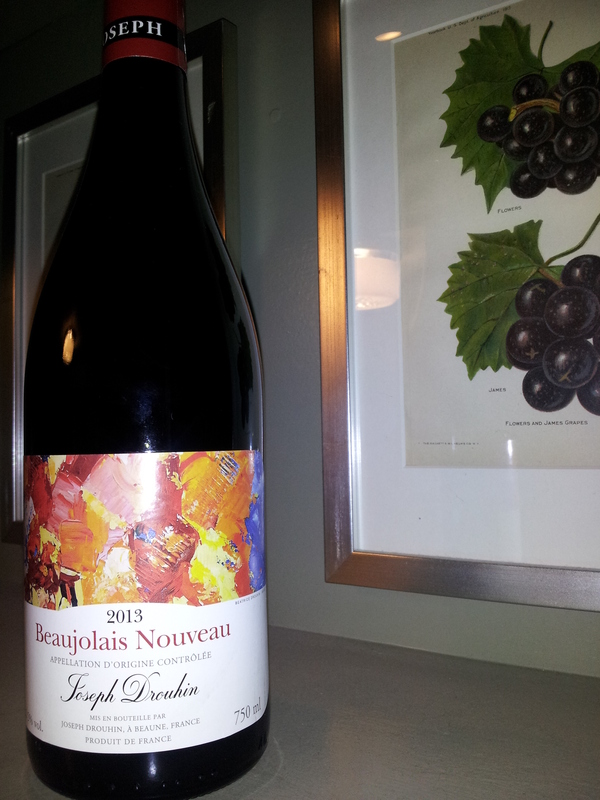 This was the 2nd 2013 Beaujolais Nouveau I had picked up recently and my first from Joseph Droughin. This like most Beaujolais Nouveau wines was light, fruity, easy to drink and quite enjoyable. The nose had elements of violets, cherries, lavender, berries, and slight touch of vanilla. The texture was smooth, lush with very subtle tannins and a slight tartness with low acidity. Tasting notes included cherries, of the tarter pie cherry variety, berries, strawberry and raspberry, cassis and currants with a slightly earthy undertone. The wine has a striking light garnet color. The Joseph Drouhin “Beaujolais Nouveau” 2013 will go nicely with light savory meats and poultry as well as fish, particularly grilled salmon. It will also go nicely with appetizers, fruits and cheeses. Excellent slightly chilled (54-57° F). Overall this was a great find and a winery I need to investigate further. Would Bukowski drink it? Louis-Ferdinand Céline, now he was French. 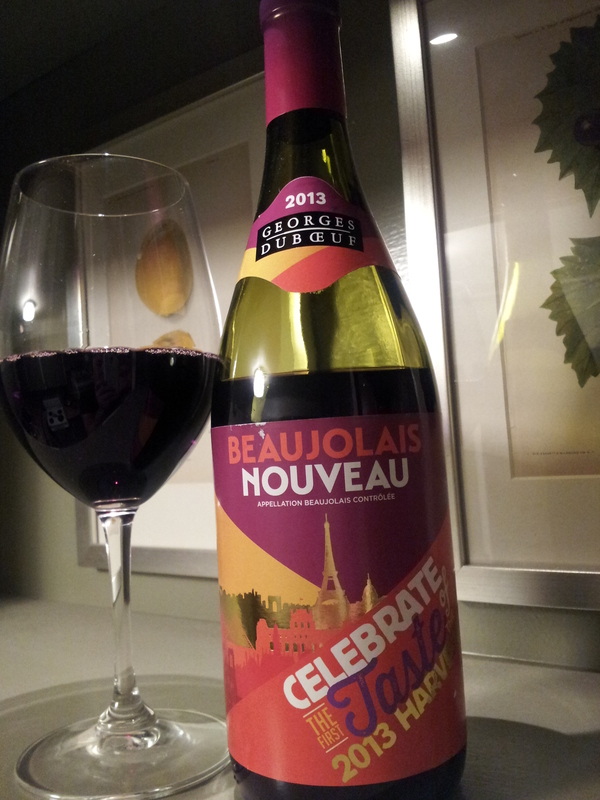 Yesterday, November 21, was the third Thursday in November this year and when the clock strikes midnight, the new vintage of Beaujolais Nouveau, is officially released to the world. You may remember drinking Beaujolais Nouveau at a Thanksgiving or holiday get-together. Given its timely release it’s a popular wine throughout the holiday season. I love cracking into the first bottle every year and this year is no exception. This is the first of two Beaujolais Nouveau wines I will be reviewing. This, the Georges Duboeuf, is the more commonly available and probably the most recognizable name in Beaujolais Nouveau. The 2013, doesn’t disappoint, if you are a fan of Beaujolais Nouveau. Overall it is very fruity and fresh, characteristics associated with wines like those made from the Gamay grape. Hints of strawberry were my first impression, with a sweet nose. The color is deep, ruby-red and very bright, much like its taste. Secondary taste were more tart and include rhubarb, dried cranberries and plums. Its very easy to drink (which could be great at family holiday dinners!). A really nice Beaujolais Nouveau and better than I recall the 2012 being. Beaujolais Nouveau wines match well with just about anything. I don’t really follow the white with poultry and fish and red with red meat etc. rules. Drink what you like. I like it as a starter wine, due to it’s delicacy and subtle sweet fruit. It works well with just about everything in a traditional Thanksgiving dinner, so consider it for your Turkey Day. Would Bukowski drink it? Goes well with my F**kin frozen turkey dinner. Now F**K OFF!